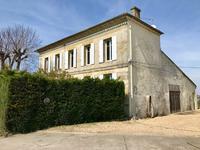 Beautiful stone house with an additional vineyard under St Emilion AOC, 1.72 hectares ! Incredible opportunity to get a vineyard in St Emilion with charming stone house for 700 000€ . 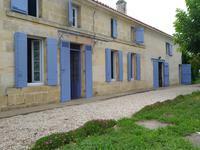 . .
LOVELY PROPERTY, NOW A GOOD RUNNING B&B BUSINESS AMIDST SAINT-EMILION WINE CHATEAUX! This property is now a well-establised thriving B&B business with a very good annual . . .
Price reduction to 689 000€ until 4/05!!!! In the heart of Lussac, its shops and schools, . . .
Really beautiful property, consisting of 2 individual character houses - first traces of . . . Magnificent 14th century building, majestically dominating the river at its feet. This house . . .
A rare chance to purchase a large property with 2 houses and commercial premises in the hands . 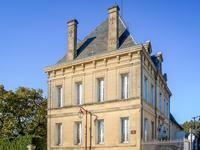 . .
Peacful location and great views over the vineyards in the heart of Saint Emilion. 4 beds, . . . OUTSTANDING 17TH CENTURY CHATEAU NEAR SAINT-EMILION - THRIVING B&B/GITE BUSINESS - FULLY RENOVATED TO HIGH STANDARDS! Outstanding CHATEAU dating back to the 17th century in the SAINT-EMILION - BORDEAUX region. . . .
LITTLE GEM WITH GORGEOUS VIEWS OVER DORDOGNE VALLEY AND SAINT-EMILON VINES! This little gem can't be beaten! A perfect harmony between house, garden and breathtaking . . . Character and authenticity represent this beautiful house of the XVII century. It is at the . . .
ALL ABOUT LOCATION! EXTREMELY CHARMING MANSION NESTLED AGAINST A SOUTH FACING HILLSIDE WITH FABULOUS VIEWS! SAINT-EMILION REGION! The location of this lovely century old mansion full of character can't be beaten! At the . . . ROMANTIC SINGLE-STOREY OLD STONE HOUSE WITH BAGS OF CHARACTER! PARC OF 1.5HA SUITABLE FOR HORSES - CLOSE TO AMENITIES, SAINT-EMILION REGION! This single-storey old stone house has been renovated with respect of its centuries old . . .